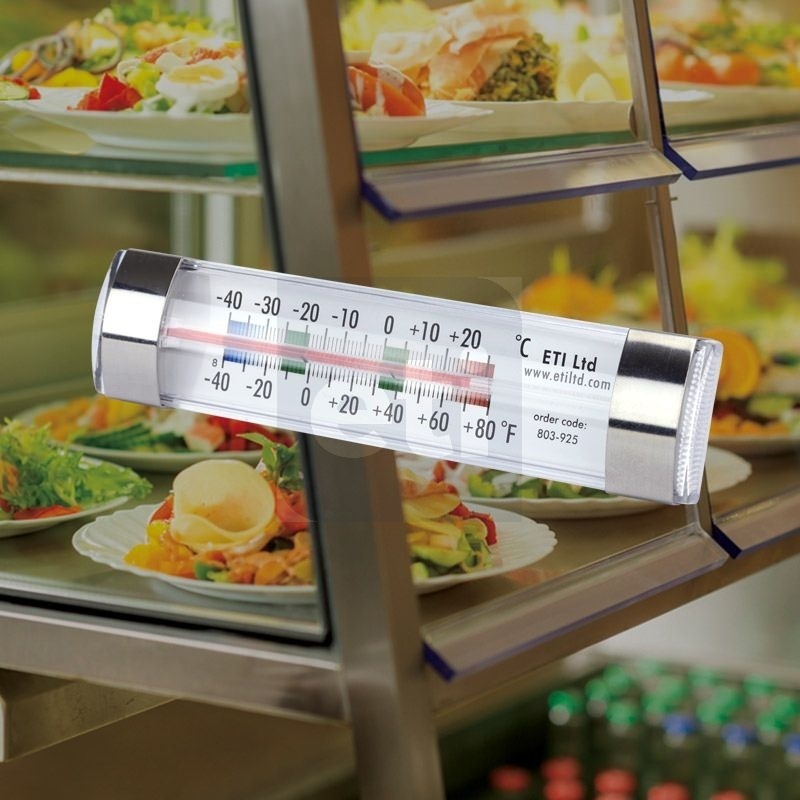 Spirit Filled Fridge/freezer thermometer in clear ABS plastic. Colour-coded zones provide a clear and easy to read temperature display. The unit is designed to be hung from a shelf in a fridge, freezer or cold cabinet, alternatively it could be wall-mounted (brackets supplied). They are sold singly or in boxes of ten.